Australia is a proper noun. Australia is (1) a nation occupying the whole of the Australian continent; aboriginal tribes are thought to have migrated from southeastern Asia 20,000 years ago; first Europeans were British convicts sent there as a penal colony, (2) the smallest continent; between the South Pacific and the Indian Ocean. The following articles provide more information about the proper noun Australia. The continent of Australia includes the islands of Oceania. Australia and Oceania are sometimes called Australasia, and consist of Australia, New Zealand, Papua New Guinea, and many other small islands. Australia is a continent that is a popular destination for travelers from around the world. Learn more about travel and tourism in Australia on this page. The Australian continent is also known as Oceania; it includes Australia, New Zealand, Papua New Guinea, Polynesia and Melanesia. Page includes a map and chart of Oceania countries. This is the website for ABC in Australia. Like its counterpart in the U.S., the site provides news in Australia, world news, sports, weather, radio and television programming, and much more. 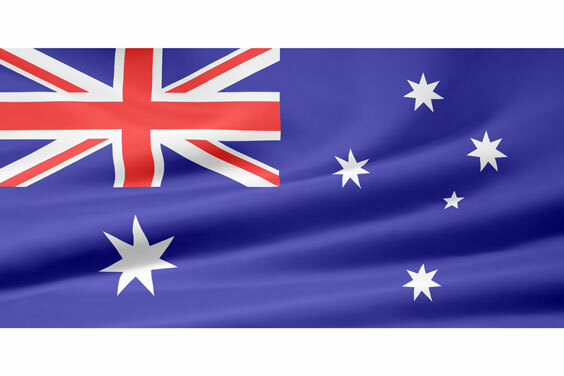 The Australian flag is a blue background with stars and a Union Jack in the upper left hand corner. The flag was the result of a design competition, and it was adopted in 1906. Lonely Planet, headquartered in Australia, began with one travel book over 30 years ago. Today it is a large travel guidebook publisher, popular with backpackers. Besides travel books, the website also offers bookings, information about destinations, hotels, hostels, blogs, travel stories, a store and much more. There is also information about writing a travel book for them on the website. Moodle, located in Perth, Australia, is a free, open source e-learning platform that has been compared to Blackboard. The software was developed to help educators set up and manage online courses. Development of the software began in 1999 and has since evolved to enhance its interactive properties and ease of use. It has been translated into 61 languages. New Zealand consists of a North Island and a South Island as well as several smaller islands. Located 1,000 miles east of Australia, New Zealand features breathtaking scenery and unique wildlife species such as the kiwi bird. News headlines, summaries, and article links as well as a map and facts about the Australasian nation of Australia. The following articles provide recent Australia-related news. Authorities in Australia claim that they stopped one of the largest illegal wildlife smuggling attempts at the Melbourne International Airport. Michael Hollan. Fox News. Wednesday, 24 Apr 2019 15:54:40 GMT. Cassowaries are a flightless type of bird indigenous to Australia and Southeast Asia. They are huge, emu-like birds with claws and have a violent reputation. New York Times. Wednesday, 24 Apr 2019 13:30:57 GMT. Reuters. Wednesday, 24 Apr 2019 02:40:22 -0400. Stocks in Asia were mixed on Wednesday after the S&P 500 and Nasdaq Composite closed at record-high territory overnight on Wall Street. CNBC. Tuesday, 23 Apr 2019 23:37 GMT. Allegion's (ALLE) first-quarter earnings are likely to benefit from strength in the electronics business. However, weakness in Australia and New Zealand markets poses a concern. Zacks Equity Research. Zacks. Tuesday, 23 Apr 2019 15:11:00 GMT. BBC News. Tuesday, 23 Apr 2019 04:50:04 GMT. CBS News. Monday, 22 Apr 2019 18:33:35 +0000. Zamira Rahim. The Independent. Monday, 22 Apr 2019 16:51:00 GMT. New Zealand Herald. Sunday, 21 Apr 2019 06:17:19 +1200. The following digital image illustrates the proper noun Australia.